I met a charming lady last night who is into grains, Maria Speck, a published and award winning food author. I looked through her excellent book 'Simply Ancients Grains', and I became aware that I often take grains and also pulses for granted; why? because they belong to my daily world, to my own food culture. In Lebanon and in the Levant in general, more than 50 per cent of the recipes are with grains and pulses. They are the building blocks of a varied and healthy kitchen. People have relied on them for millennia, for sustenance, for growth and for economic development and yet today, if they are seen as healthy, they are still considered frugal. They need not be; they combine beautifully with the most exclusive ingredients, and there's a whole world of compositions that will tempt the most discerning palate. When I was researching recipes about lentils for our book 'Lentils: traditional and modern recipes from the Mediterranean', I realised that in the traditional Lebanese kitchen, we cooked fish and we cooked lentils, but never lentils and fish together. 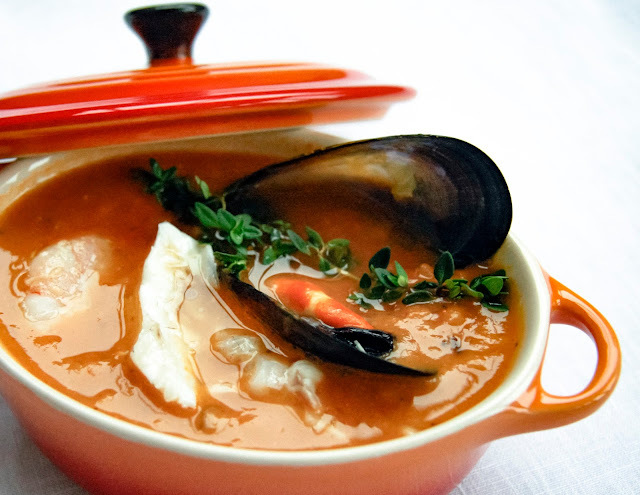 An idea sprouted, and I worked on building a soup which married land and sea, red lentil soup with fish and seafood. Here is how its cooked. 1. 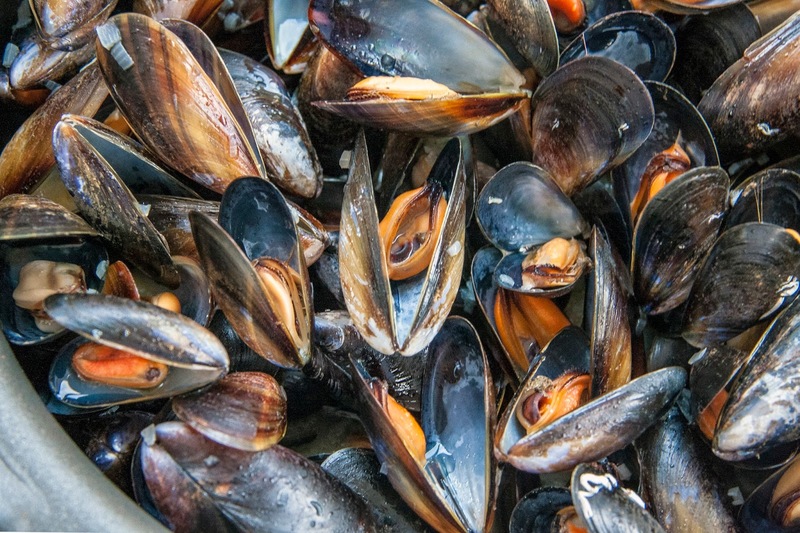 Wash the mussels under running water, trim off their beards and brush to remove sand and grit; leave them to soak in cold water and discard any that are broken or have remained open. 2. Heat 2 tablespoons of olive oil in a deep pan, and cook half the shallots until soft. 3. Strain the mussels and toss them in the onions for 3 to 4 minutes before adding the wine. Bring to a boil and cook for 2 minutes; reduce the heat and leave to simmer for 15 minutes. By then all the shells should have opened. Discard any that remain closed; take out the meat from most of the mussels leaving a few whole to use as garnish. Set aside both the resulting stock and the mussels. 4. In a separate pot, fry the rest of the shallots until soft, about 5 minutes; add garlic and cook for another minute; incorporate the vegetables. Cook covered over low heat, for 10 minutes. 5. Add lentils, tomato paste, spices and water, increase the heat and bring to a boil. Tie the herbs with a string and place them in the soup. Cook over medium to low heat for 20 minutes, stirring occasionally. 6. While the lentils are cooking, place the sea bass in a roasting tin. Fill the cavities with fennel and herbs. Brush with olive oil and sprinkle with coarse salt. Roast in a 180°C pre-heated oven for 20 minutes. 7. When the fish is cooked, peel its skin off and separate the white meat which you will place in a dish and set aside until ready to add to the soup. 8. Incorporate the mussel meat and their liquor to the lentils. Add prawns and allow them to cook for 2 to 3 minutes, until they turn orange. Finally flake the fish into the soup. 9. Serve hot, garnished with whole mussels and sprinkled with parsley.